Pedals are a important part of a bike. It is the point of the bike you use to transfer your power. So good pedals are important. The standard pedals of the Strida are foldable plastic pedals. They are ok but not more. To fold them you push them against the axis. The Strida MAS comes with different alloy pedals. It consists of two halves that collapse together to form the pedal platform. This is secure and easy to use. For the daily use and short distances platform pedals are best. You can use them with normal shoes. 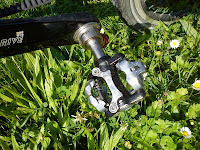 For longer distance clipless pedals are interesting. They provide a better connection to the pedal and are more efficient. Replaceable pedals allow you to change the pedal depending on the situation. This is a nice plus over the possibility to remove them for a flat fold. The downside is that you have to store them somewhere after removing them. Like battery lights you have to take them with you if you leave your bike unattended. Nice shape, you have to push a ring at the axis to release the pedal. Platform and clipless pedals are available. The clipless pedals are compatible with SPD shoes, but use different cleats. Here is a small loose plastic ring to stop accidental disengaging of the pedals. Which has happened according to reports in different web forums. The next generation but not compatible with its predecessor the MKS Ezy. Looks great and has a twist+push system. No clipless pedal available at the moment. A different concept using a pin. The pin needs to be pulled away from the axis. The pin cap looks strange. Many different pedals are available. Not only from Wellgo, but other companies as well. Here are cheap versions with a black plastic cap on the pin. 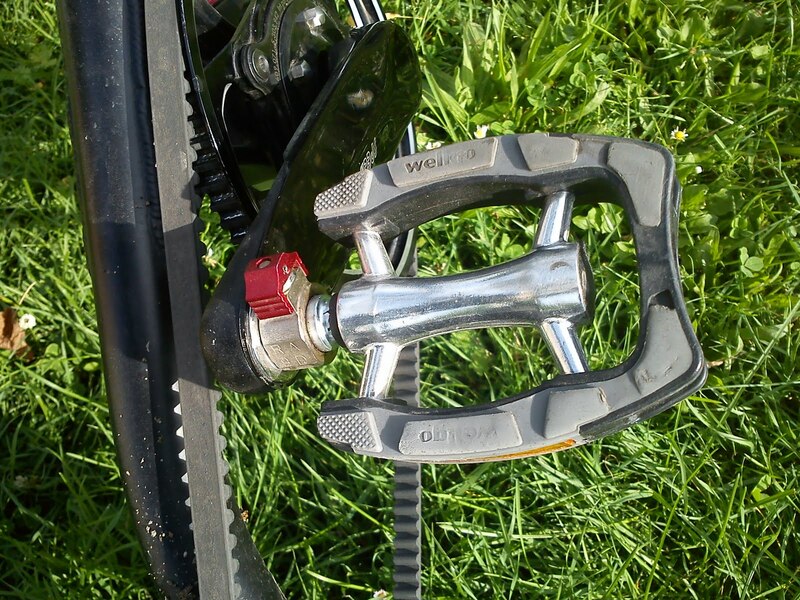 The Wellgo QRD-W01 uses standard SPD cleats. I use the Wellgo QRD system. It allows me to switch from a platform pedal (QRD-C098) with rubber finish to clipless pedals (QRD-W01).